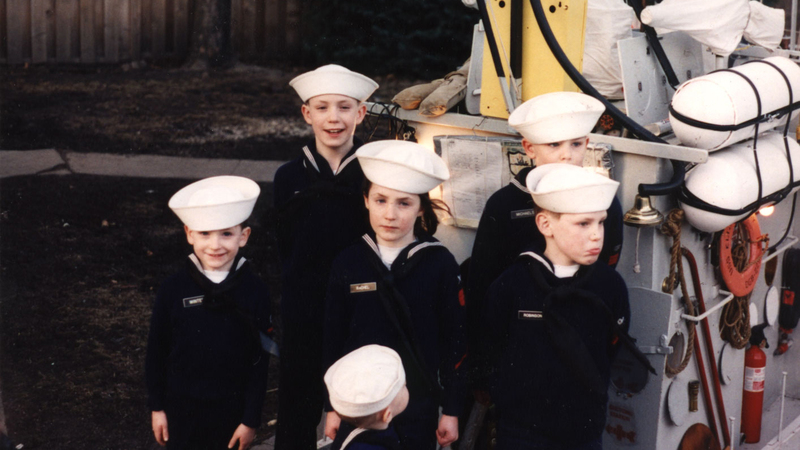 The Steinfels kids on the U.S.S. 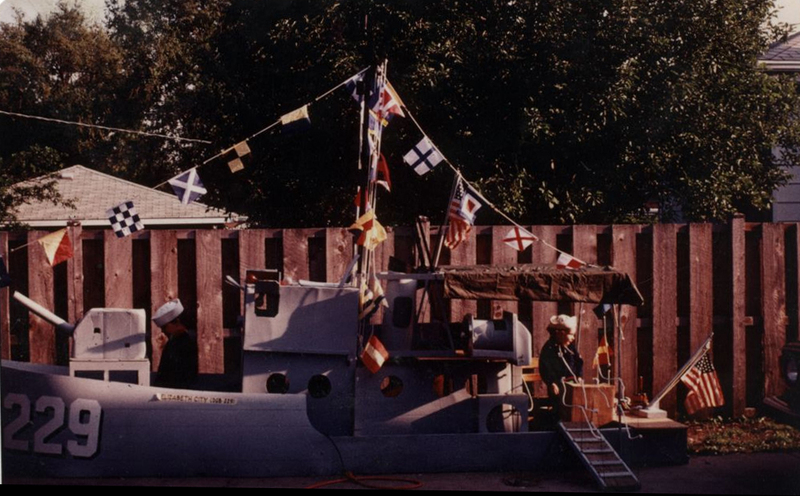 Elizabeth City during a “deployment” to a church parking lot near their house, 1981. 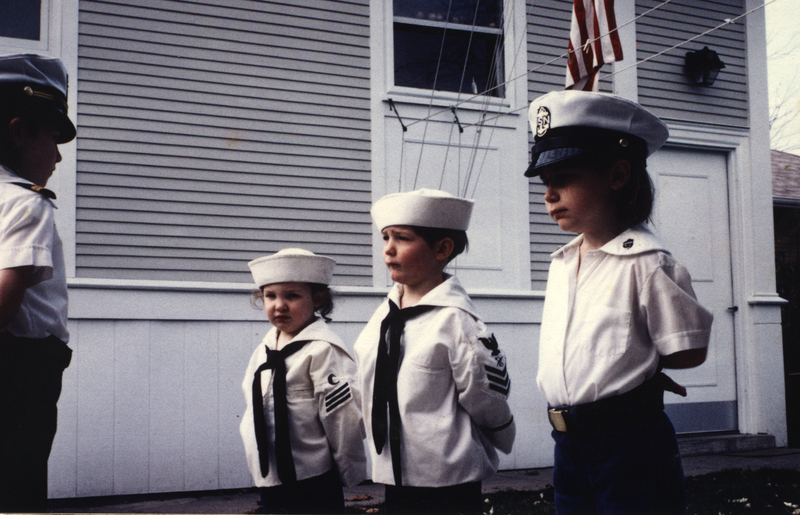 Jane, the commanding officer, holds a muster with some of her younger siblings: Marion, far left, Joe and Elizabeth, 1981. 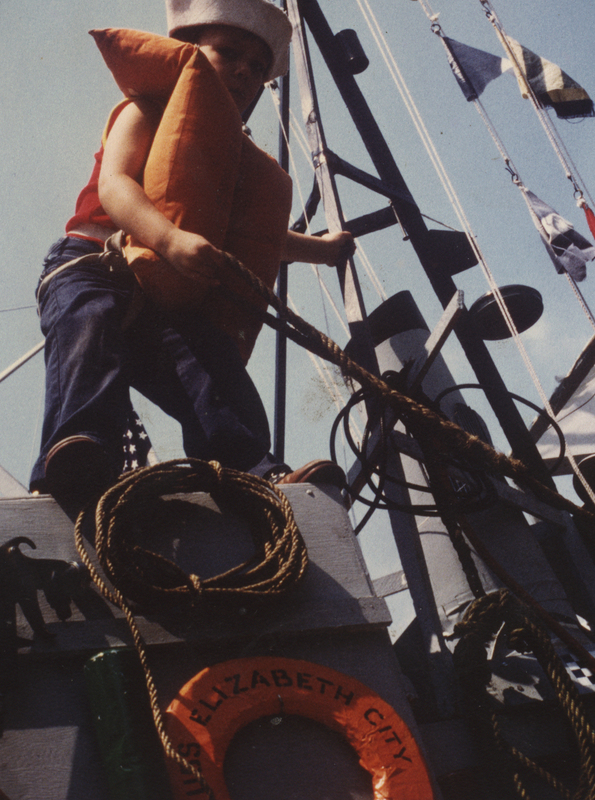 The ship was rigged with ropes to pull up play cargo. 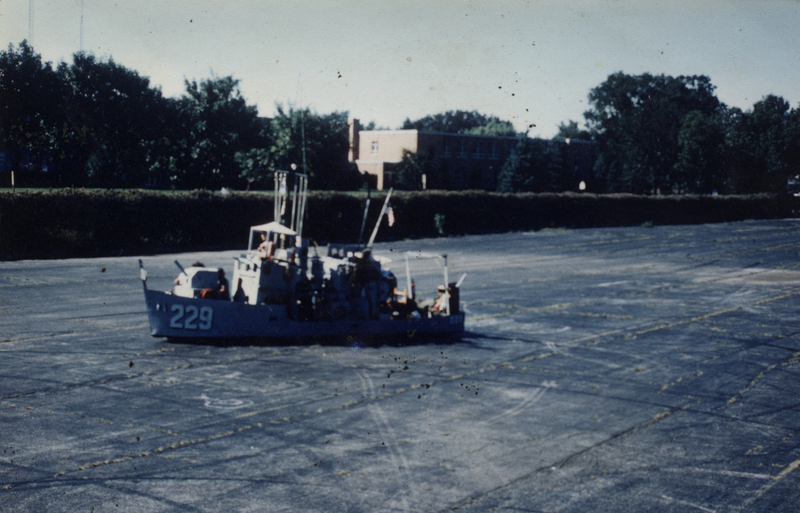 After a surprise “attack” by a black, submarine, right corner. The Steinfels dad claimed it was from the Soviet Union. 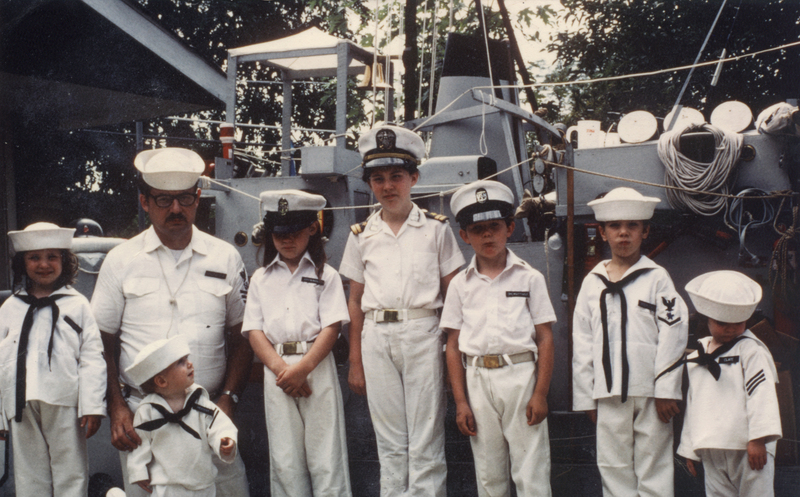 Their dad, second from the left, often stood on his knees for pictures to try and blend in better with his crew of kids. 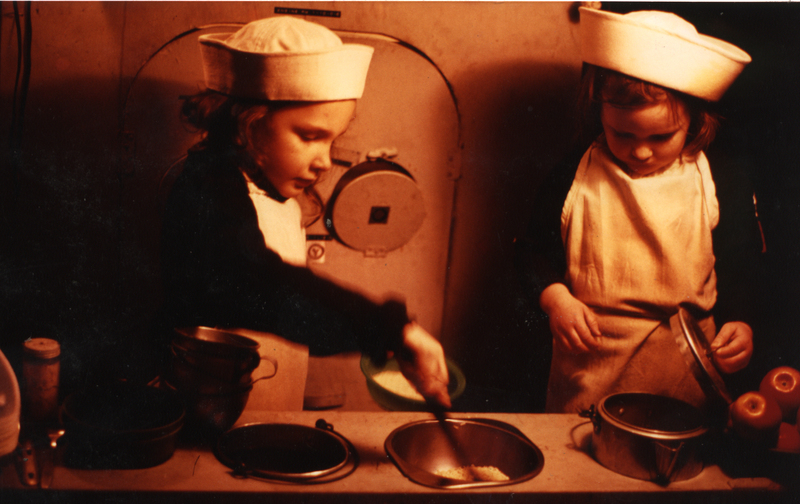 Marion, left, and Kathleen serving breakfast on the ship’s chow line. 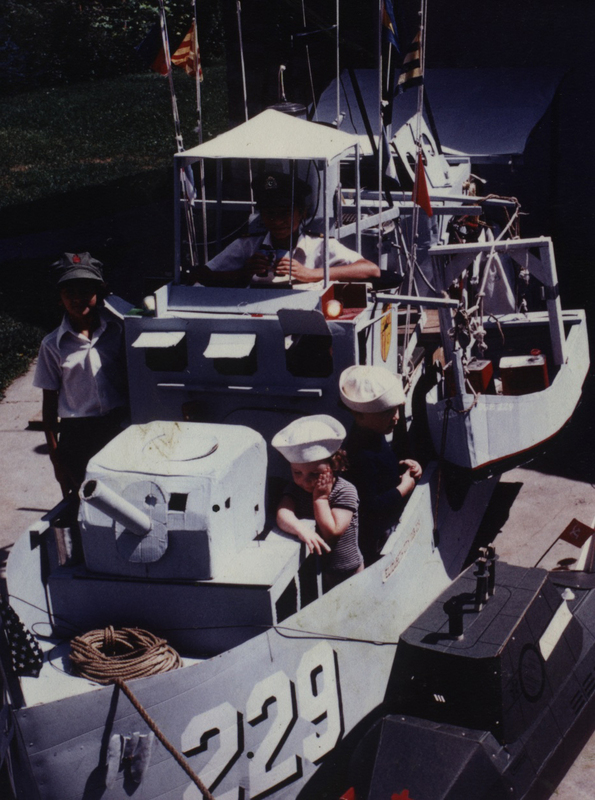 Marion making an entry in the U.S.S. Elizabeth City’s logbook. 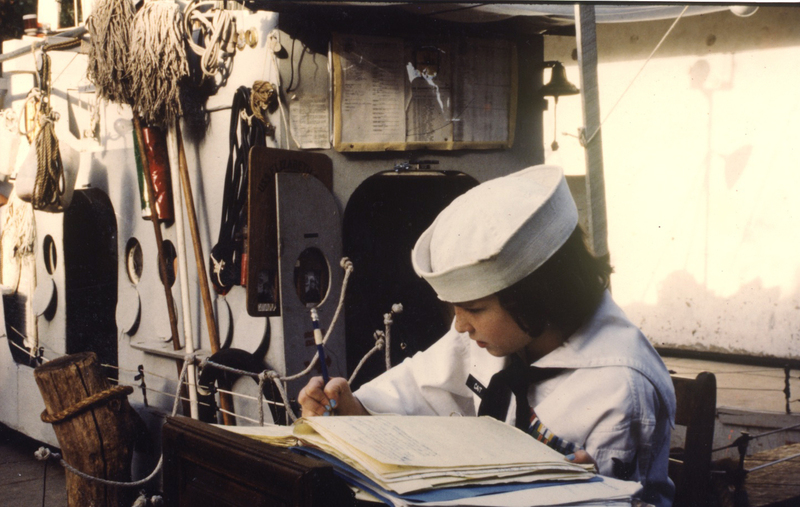 The Steinfels kids used signal flags – each representing a letter in the alphabet – to send out short messages from their ship.